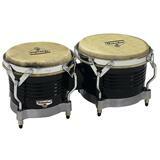 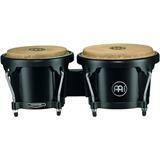 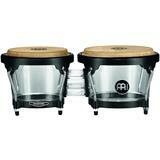 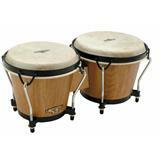 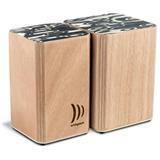 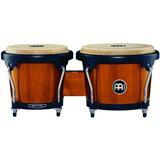 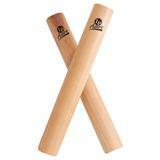 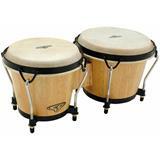 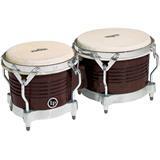 LP Generation II Bongos are used by the top percussionists in the world and are constructed of kiln dried, Siam Oak. 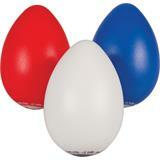 They feature hand picked rawhide heads that have been specially treated to provide a uniform opaque white color and a softer touch. 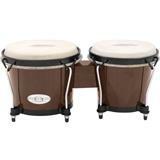 These bongos have standard 7-1/4" and 8-5/8"diameter heads, but have a more pronounced shell contour than other bongos to create crisp, distinct high tones. 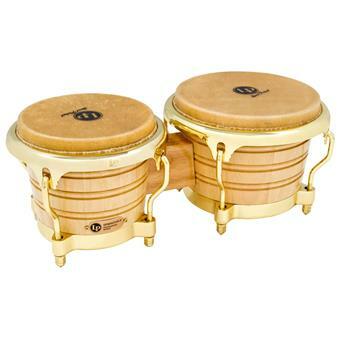 They also have a specially designed steel backing plate which helps to prevent cracks from occurring in the shell when players in the Salsa genre drop their bongos to the floor and begin playing their bongo cowbell. 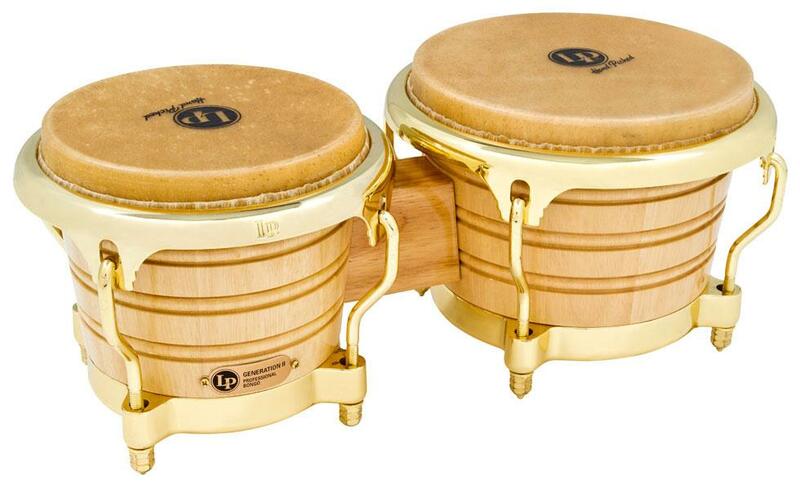 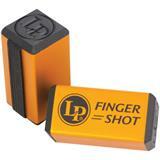 The 5/16" diameter tuning lugs have been carefully formed to hug the shell making them as comfortable for playing as possible. 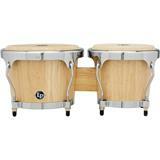 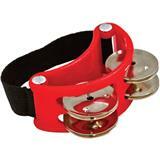 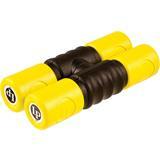 They are complimented by plated, cast aluminum bottoms.